Quaker schools are fertile ground for BDS and have become ground zero when it comes to pro-BDS faculty and students. 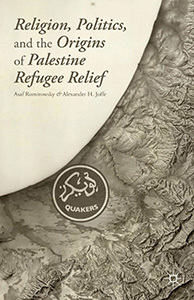 The Quaker tradition of even-handedness and political neutrality has long passed; by the late 1970s the American Friends Service Committee (AFSC) had effectively enshrined Palestinians as the "new Jews." Support for Palestinian terror as "resistance" against Israel's "structural violence" and against sanctions on Iran's nuclear program is now customary. Edward Said called Palestinians "the victims of the victims," and such Holocaust inversion has been baked into the Palestinian story, turning Jews and Israelis into Nazis. This strategy of feigned victimhood and weakness underlies the success story of the Palestinian narrative. On a superficial level, the American divide regarding Israel's status in US politics is about the role of Jews as a minority. According to one view, Jews are increasingly viewed as white, wealthy, and thus inherently racist, with indefensible connections to an Israel that is a colonial outpost of the imperial West. It is, as Michelle Alexander put it in The New York Times, "one of the great moral challenges of our time." But today, we are observing a rejection of "classical" organized religious constructs in favor of more individualistic beliefs – human social actions that are supposedly based on furthering human contact and kindness – where the higher power/spirituality is removed.